Thursday night, more than 50 of Toronto's business leaders—including a city councillor and the police chief—slept on the street to help raise funds for the city's homeless youth. 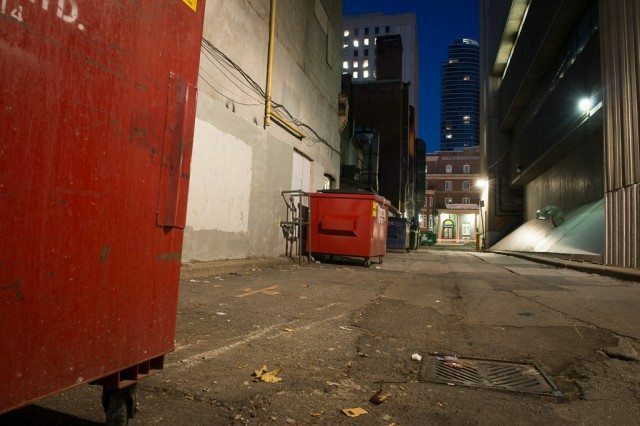 An alleyway outside of Toronto's Covenant House early on November 16. On any given night in Toronto, as many as 2,000 youth sleep on the streets. Last night, at 20 Gerrard Street East, more than 50 members of Toronto’s executive elite joined them. In order to raise awareness and funds for Covenant House Toronto, a shelter for homeless youth, Toronto business leaders and celebrities bundled up and braved the cold (and the hard concrete), to participate in the annual Sleep Out for Street Kids Executive Edition. Because the event was held in Covenant House’s gated courtyard, the executives didn’t face the same risks homeless teens do each night on the street—the constant threat of violence, exploitation, drugs, and illness—but they did get a little taste of what it’s like for the thousands of Torontonians who have no choice but to sleep outdoors. One participant in the event was Police Chief Bill Blair, who, as a long-time Toronto police officer, has worked on the streets for the majority of his adult life. Even so, he said spending a night outdoors was a good reminder of what many homeless youth go through regularly. Brian Burke, president and general manager of the Toronto Maple Leafs and co-chair of the evening’s event, had a more personal reason to get involved. Burke’s late son Brendan was an activist who spoke out about homophobia in professional sports. After Brendan’s death in 2010, Burke took over the work his son had begun. Burke has since become an outspoken advocate and supporter of LGBT rights. Councillor Kristyn Wong-Tam speaks to reporters after spending a night on the streets in support of Covenant House. 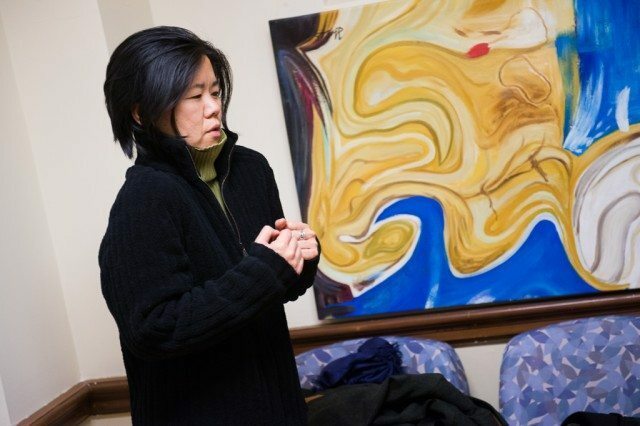 Councillor Kristyn Wong-Tam (Ward 27, Toronto Centre-Rosedale) also spent the night outside. As the only openly gay member of city council, she recognizes the importance of providing resources to LGBT youth. She left home at 16 after being rejected by her parents for coming out as gay. One in four homeless teens, she said, identifies as gay or transgendered. Bruce Rivers, executive director of Covenant House, said that the money raised by the event—more than $520,000—will go a long way toward helping homeless youth in Toronto. The shelter provides 24/7 crisis care and services including education, counselling, health care, employment assistance, and job training. 80 per cent of every dollar the organization spends comes from donors. The local event was part of a larger program that saw business leaders across North America spend one night on the streets in solidarity with homeless kids. The goal was to raise, collectively, $2.5 million for Covenant House’s branches in locations throughout the U.S., Canada, and Latin America.